I received an email from a prospective buyer of my online trading course. His question (below) caused me to think about the wisdom of pursuing trading as a worthy venture. I know that a lot of readers are investors rather than traders, but regardless of your trading horizons, the skills and concerns of active short-term trading are relevant to us all. Question: There are a lot of people who say that day trading is for ’fools’ and that it is very difficult to make a living from Day Trading. Trading is like most business: it requires commitment and perseverance. It is never easy to make money, but people who have mastered a skill make it appear easy. The really successful pit traders that I have known made trading look very easy, tantalisingly easy; but they all had many years of experience behind them. For every successful trader there has probably been a few hundred who have tried and failed. I think people fail at any business if they approach it without an appreciation and understanding of what is required for success. The majority of traders fail, because they have no such appreciation and they have unrealistic expectations of themselves. Any trader who starts with the expectation of becoming an instant success is setting himself up for failure. No one would decide to become a golf pro and assume that they could just pick up a bag of clubs and start winning tournaments. Yet novice traders do this all the time. Just to start with the understanding that trading is a skill that is developed over time, through experience, puts a novice trader way ahead of the competition. There are two core skills in trading: first the ability to anticipate the market (read the market) and second, having the discipline to execute your plan. To learn to read the market you may as well use a trading simulator and only start to trade when you have demonstrated to yourself that you can anticipate the market. Discipline, though, has to be developed and tested in the real world. Discipline is really the crux of the matter and it is here that most traders fall down. Their failure is mainly due to the fact that they are not really aware of its importance. Just starting out as a trader with the intention of developing your discipline puts you way ahead of the average trader. If you can trade with discipline (i.e. stick to your own rules and limits) you are 95% there! So I would say that for the average aspiring trader, trading is a fool’s game; but for those of us who approach the business as a business, with a clear understanding of the unique challenges that trading offers, it is a rewarding and fulfilling career. It is one of the strongest currencies in the world, but the whole economy is not as powerful. It fluctuates up and down, along with trends in privately and publicly-owned companies. England's economy has experienced some very high points, but has also experienced some low points as well. 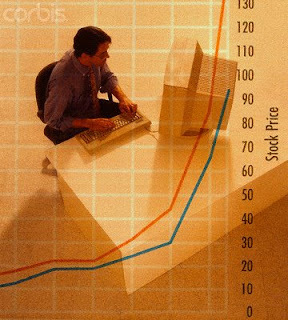 Day trading online involves the process of buying and selling shares over the Internet at short notice. Day trading online has been seen by many as a way to get rich quick, but that isn't the half of it. Statistics show that online day traders are having a rough ride, with 70% of online day traders losing money. So if you are looking at getting into the world of online day trading, then you should know the risks that are attached to the service. 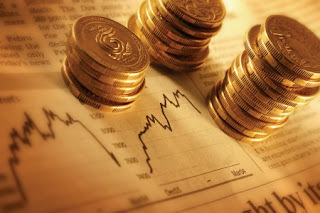 But when you are in the world of online day trading then you will get some excellent services given to you. One of these services is a chat room, where you can talk to other buyers and sellers. This is a good way to find out what the next big time company might be, but you have to know if this person is "share ramping," which is the process of talking up the shares artificially. So you have to take the risk of guessing if this person is correct or not and if the information hasn't been authorized. Imagine the next time you join a discussion about automated forex trading. When you start sharing the fascinating automated forex trading facts below, your friends will be absolutely amazed. The concept of automated forex trading is fast catching on. The first market to move to automated trading was exchange-traded futures. Following this, traders working in the Interbank spot FX market too moved on to this system. The success of the system flows from its ability conduct trade in real time. This is difficult to achieve manually, especially if the trading is to be done in milliseconds. Also, there may be times when a trader may be away from the desk, or a trader who has incurred a series of losses may take time before placing a fresh order. These are dampers that automated foreign trading removes. Another advantage that automated trading brings in is diversification. It is possible for a trader to trade in different markets, and in different time zones. The trader can also deploy multiple trading models. The trader can also use the automated model to analyze short-term data, which is not possible otherwise. 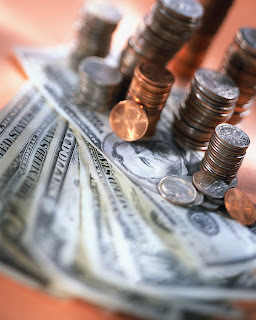 This gives the trader an advantage over others who are not using the automated trading system. The trader can use this short-term data to analyze how the market will move in the next 15 minutes or half an hour, and accordingly take decisions. Also, high frequency trading allows existing data to be used in different ways in different markets. The information about automated forex trading presented here will do one of two things: either it will reinforce what you know about automated forex trading or it will teach you something new. Both are good outcomes. Automated trading also improves liquidity. This is quite apparent from the way the number of trades shot up in futures exchanges following the adoption of automated trading. However, one area that worries traders is the likely increase in the number of orders once all traders adopt this system. The fear is that there may not be sufficient bandwidth or engine capacity to execute all these orders in real time. Already, some quarters are employing controls to guard against unnecessary order messages. Risk management is another area that worries forex traders. An automated trading environment’s risk management logic requires that before a new position is opened a check be made to ensure that there is no excessive correlation with already opened positions. For this check to be accurate, all systems need to be synchronised. But these are technical issues that the market feels will be resolved as the technology improves. For the time being automated trading in forex is the buzzword. Knowing enough about automated forex trading to make solid, informed choices cuts down on the fear factor. If you apply what you've just learned about automated forex trading, you should have nothing to worry about. 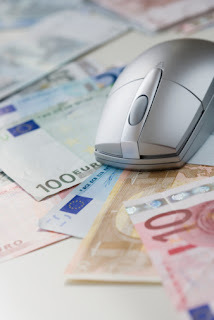 Currency Trading For Beginners - Most Novices Make This Mistake! If you make the mistake enclosed you will lose at Forex trading and here is the mistake that causes the demise of more new accounts than any other. If there is one lesson for currency trading for beginners that you need learn. Most traders believe that currency trading is easy and they think they can follow a guru, expert advisor or forex robot with a back tested system and enjoy currency trading success and of course, they lose their money. If you could win by buying $100 buck robot the amount of traders who lose wouldn't be so high. If you understand that big gains don't come without effort, you are prepared to get the right forex education and the right mindset the gains can be life changing - but you need to make an effort and get the knowledge you need, to give you confidence to trade with discipline. Knowledge by itself is not enough to make money. Having a logical robust forex trading system, needs to combined with the discipline to execute it. You need to have the confidence to keep putting in your trading signals and ride out losing periods where the market is hurting your ego and giving you losses and your emotions are trying to tell you to veer of course. Losing periods are part of trading ( don't believe anyone who tells you otherwise) and they can last for weeks and you must say on course until you hit a home run. If you don't execute your signals though these losing periods with discipline, you have no system! Success comes from within. Someone can give you the knowledge and education and even though it may be sound education, it's your discipline and mindset which will turn it into profits. In forex trading many traders get the wrong education and lose and many others simply cannot trade with discipline and lose. In conclusion the trader doesn't get beaten by the market he gets beaten by himself. Understand Forex trading is not easy and success comes from within and the pillars of knowledge, confidence and discipline and you are on the road to a great second or even life changing income. No other investment offers you such great profits in terms of effort to profits, it's not easy of course - but understand the above and you can win and your efforts will be well rewarded.